Hotel business gateway starts here! One of the professions for service-minded people with plenty of jobs. Dusit Thani College, we are here to support you. 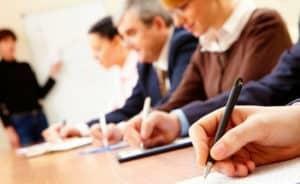 Hotel management programme is delivered by professional and experienced instructors. Our peak is our allies, we are a part of Dusit Hotel Group which has lots of 5-star hotels in Thailand. This can guarantee that learners will learn from the real things. We develop all-rounded knowledge, experience, and creative thinking. All paths to be the top of hotel and resort business is here! Dusit Thani College may be a small place, yet, very warm and welcoming. Dusit Thani College's students always get a chance to practice in real working situations and with many hours of practice and experiences we have, we feel that our capacity is beyond others. My success undeniably comes from studying at Dusit Thani College, generosity from our instructors, and help from friends and classmates. I am who I am today because of these. I got the job of my dream and being praised and accepted by my boss, colleagues and customers. When asked where I graduated from, I proudly respond with a bright smile that "I graduated from Dusit Thani College." Being a part of Dusit Thani College family is one of my biggest moment in life. 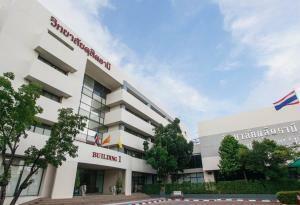 Dusit Thani College brought me prosperity and success in career abroad. The knowledge and skills I received from all the experienced instructors, strong friendship, and incredible moments are all very precious to me until these days. I am a 2nd batch at Dusit Thani College. I chose to study at Dusit Thani College because the college does not only offer academic aspects, but also fills us with skills and many hours of practice. This enhances our work capacity to be beyond other newly graduates from other institutes. With intensive curriculum and modern equipment, I am nothing but proud and pleased to say that I am a part of Dusit Thani College family.